In conformity with our core values, we are dedicated to transparent, reliable and ethical behaviour that is quite aware of tradition. We are ambassadors for the retail sector. For us, it goes without saying that we are advocates in favour of conveying and complying with social standards. Fair and just working conditions are important to us. Relianz AG does not allow any of its suppliers to take part in any forced labour, child labour or any other form of human exploitation. 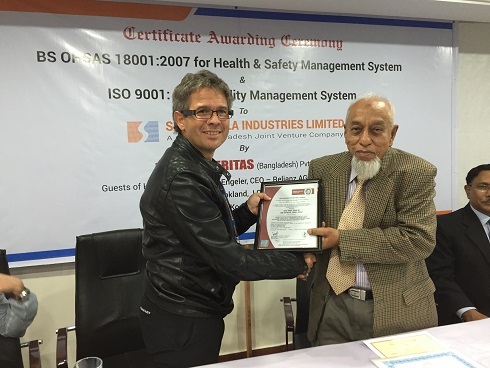 Thanks to our decades of know-how in handling big and small matters in the producing countries, we have provided for many years full support to our suppliers and their factories in India and Bangladesh on their path toward improved occupational safety and social responsibility. We raise awareness of those people in responsible positions, we support the companies with restructuring and convey our personal know-how to them. For us, it is a matter of honour for our executive management to make personal inspections during regular on-site visits to ensure that social standards are complied with and carried forward. We do everything in order to raise awareness on the part of customers and trade partners for compliance with international guidelines and social standards. For one, improving the working conditions in the producer countries is contingent upon a cultural change on site; on the other hand, it also entails the willingness on the part of our customers to bear a financial responsibility for and promote this development.
. It has been proven time and again that the companies that successfully implemented social standards can offer products and services of higher sustainable quality since they can rely on long-standing and loyal employees. This, in turn, benefits our customers throughout Europe, who can expect – across many years – a high-quality and flawless product manufactured at humane conditions. 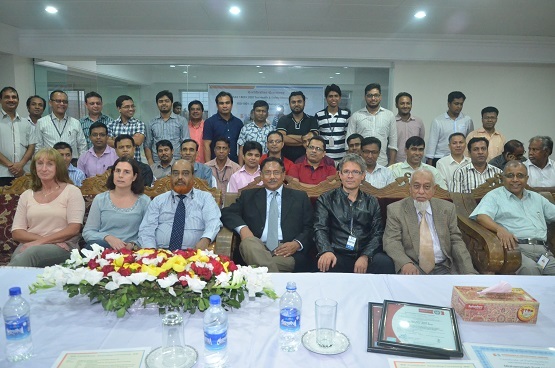 On 2 November 2015, our Co-Managing Director and head of Marketing Andreas Engeler had the privilege of taking part in a ceremony at our big bag maker in Dhaka, Bangladesh, which was awarded the OHSAS 18001 Certificate: another milestone achieved after four years of intense support.